We had a jam packed day of seeing museums and then we were exploring markets for the day! We went to the amazing, and HUGE, shopping center Dongdaemun (which is a must see while here) and when we walked outside - there it was!! I was so excited and it felt like total fate. How big is the wall? should I take a tour or walk it my self? There are plenty of times and places where Rashawn and I felt like we needed a tour guide! But other times we truly like exploring a place in our own time and pace. 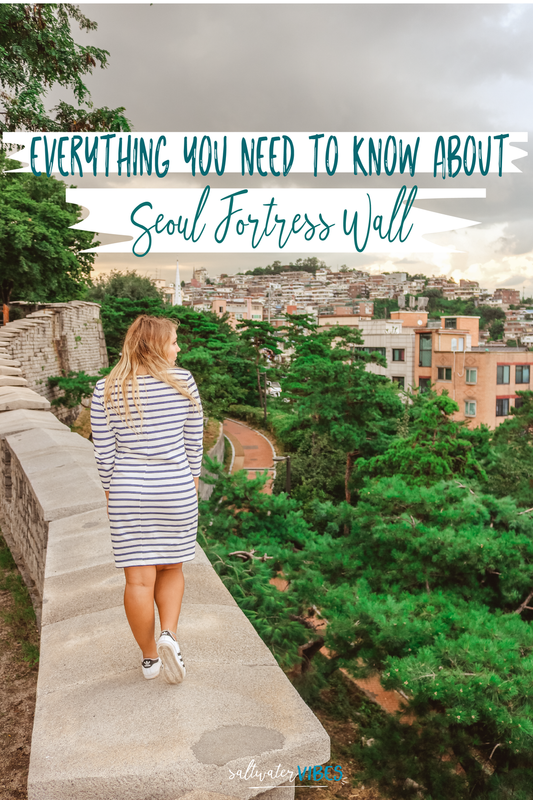 I didn't even know there was guided tours of the Fortress Wall until long after we left Seoul! However, if you have a group of four or more you can sign up for a guided walking tour! It will cost about $79 a person (88,000 Korean won) and you can sign up online here! All the info on times and dates can be found on there site. The wall was built long long, LONG ago - were talking in the 1300's. It was built as a protection for the city and to stop an invaders from getting in. Since this time the wall has gone through some reimbursements of strength and some portions have been replaced all together. One of the courses has been taken out in full due to tram building, but majority of the wall is still up today. This cool gal gives some great history about it! While my list may be long for reasons to visit the wall, being in nature is real close to the top! I love that big cities still take the time and resources to preserve beautiful natural parts of the city! 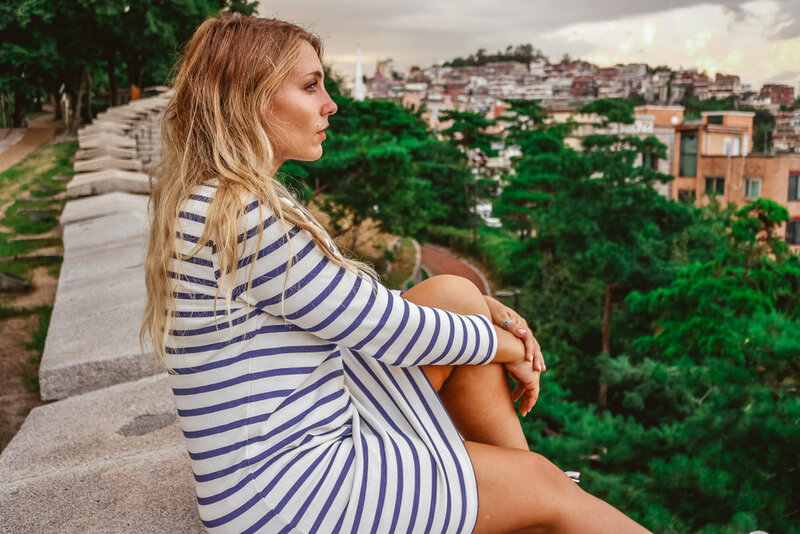 It is such a cool place to just sit and take in where you are. We are big fans of seeing nature and cities from above when we travel so this was win win in our book!